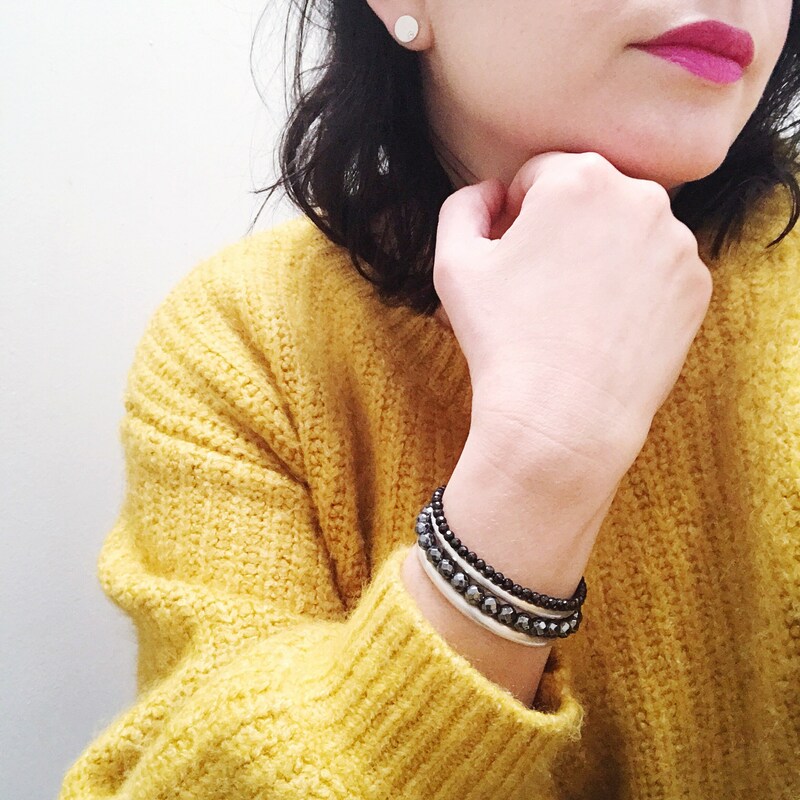 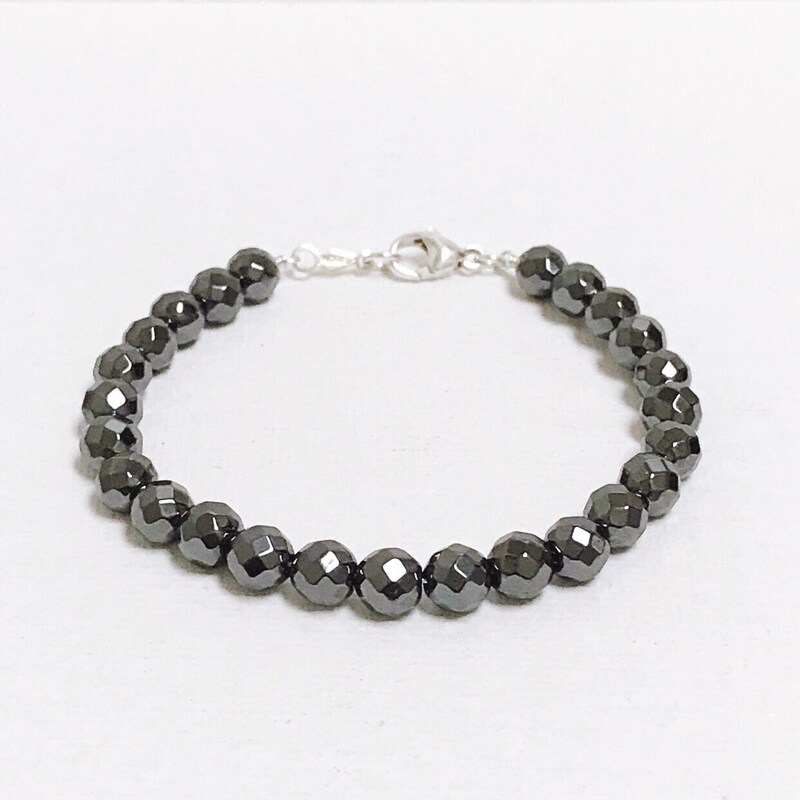 Faceted hematite beads add maximum sparkle to any outfit. 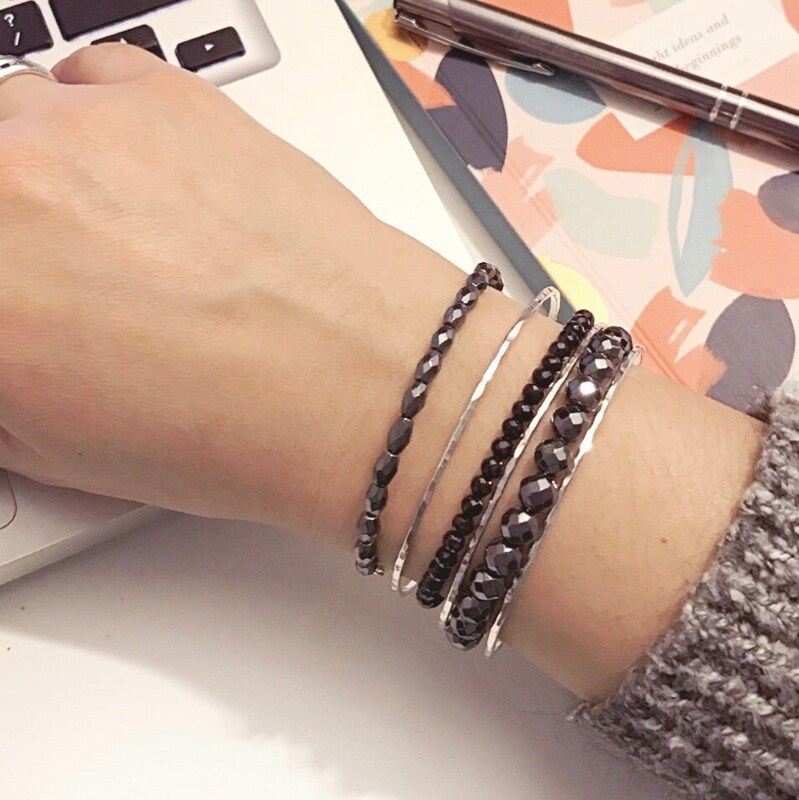 Metallic deep gray beads give this stunning bangle a modern look. 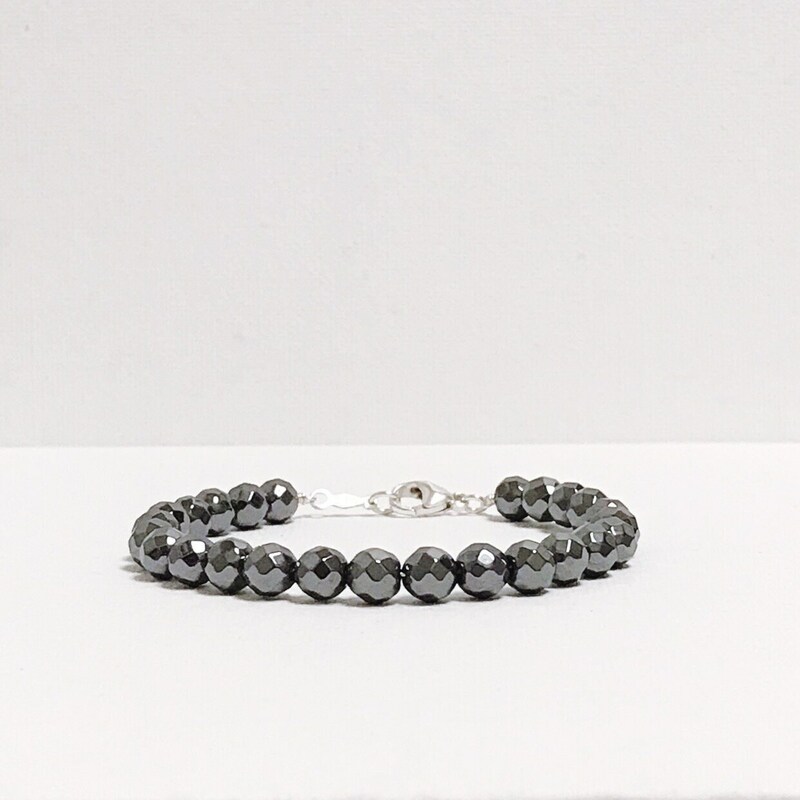 The round beads measure 6mm and is strung on sterling silver wire. 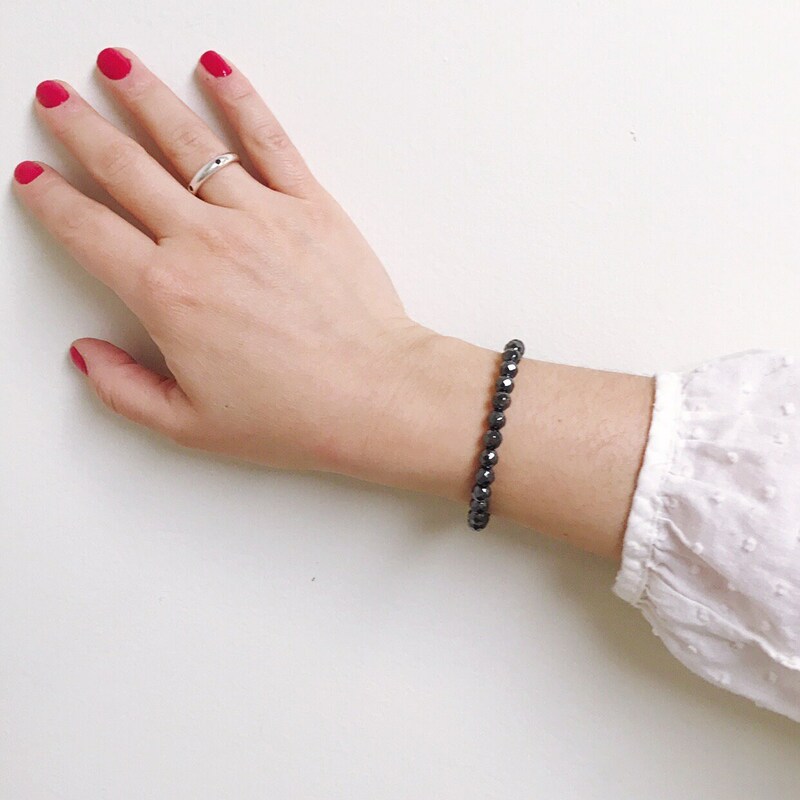 Each bangle is finished with a sterling silver lobster claw clasp. 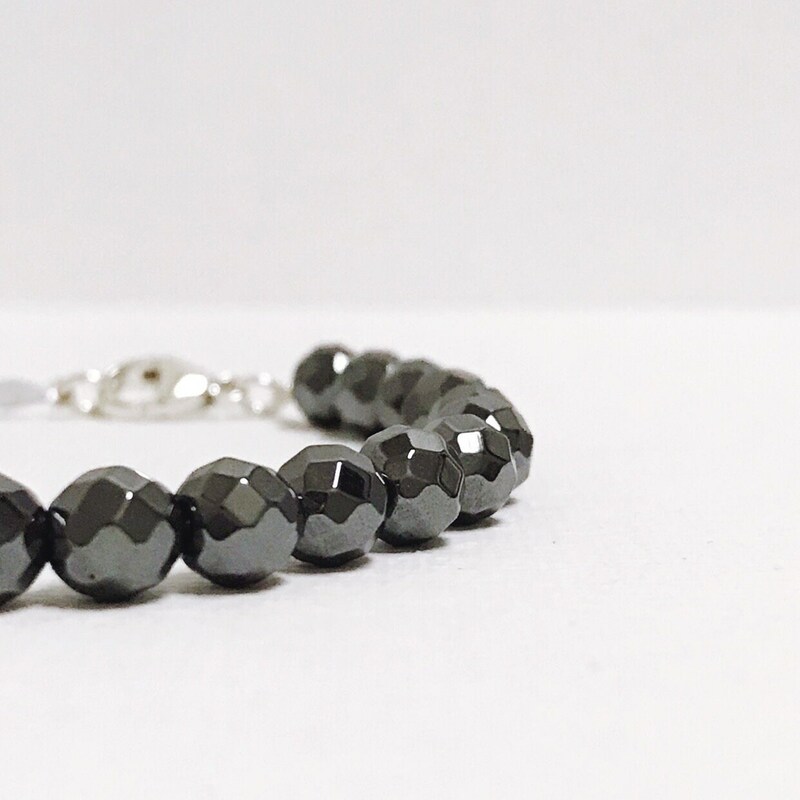 This bracelet is a show stopper when worn alone, pair it with our other beaded bangles to achieve maximum shimmer!